Ivalo Testing Center "White Hell"
The Ivalo Testing Center “White Hell” is where Nokian Tyres, the northernmost tire manufacturer in the world, tests its winter tires rigorously on snow, ice and slush. Experienced test drivers put the tires’ performance to the limit in uncompromising tests in order to find the best tires out of the good ones. If a tire works under the world’s most demanding conditions, it will work reliably everywhere. Nokian Tyres tests its winter tires around the world, but the winter tires’ true home can be found in Iva lo, Finland, north of the Arctic Circle. The northernmost tire manufacturer in the world built the Ivalo Testing Center already in the mid-1980s. Covering more than 700 hectares, the testing centre has really earned its tough reputation, as the world’s largest and most diverse winter testing environment has been built under extreme conditions. 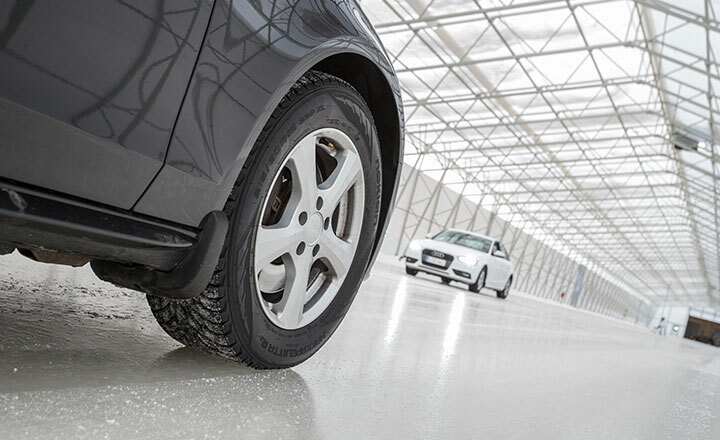 As a pioneer in winter tire technology, Nokian Tyres uses more than half of its R&D spending on product testing. White Hell is the primary testing venue. – Right from the early stages of development, we test a new tire in authentic environments in order to ensure flawless performance under difficult, demanding and varying conditions. Authentic testing on ice and snow forms an essential part of R&D work because a tire’s properties cannot be optimised only through computer modelling, explains Manager of the Testing Centre Matti Suuripää from Nokian Tyres. "Authentic testing on ice and snow forms an essential part of R&D work because a tire’s properties cannot be optimised only through computer modelling." Developing a new tire is a long process that takes from two to four years. One major trial is practical testing, which directs further R&D efforts until only the best performing tire remains, tailored for specific winter conditions. Winter tires need different properties depending on whether they are used in the icy conditions of the north or in the warmer Central European winter. – The purpose of uncompromising testing and defying the grip limits is to create even better and more reliable winter tires. Being able to guarantee the safety of the tires gives drivers peace of mind even on winter roads. If a tire is tested under the most demanding conditions in the world in Ivalo, it will perform well everywhere, Suuripää adds. "The purpose of uncompromising testing and defying the grip limits is to create even better and more reliable winter tires. Being able to guarantee the safety of the tires gives drivers peace of mind even on winter roads." White Hell is bustling from November to May. In Ivalo, there are more than 200 days with freezing temperatures in this period. That is when we test more than 20,000 tires driving more than 40,000 test kilometres. Our highly experienced R&D and testing teams and test drivers put tires to the test day and night. The tires are tested as consistently as possible on various ice and snow tracks. Testing requires extreme professional competence, precision and thousands of repetitions. 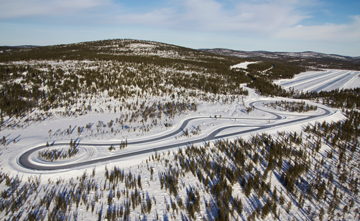 Known for its premium products, Nokian Tyres has more than a hundred kilometres of well-maintained test tracks in Ivalo. – In practice, we ensure that a track will always have the same snow thickness and we roughen ice and brush it clean, as needed, Suuripää explains. White Hell is not always white because in midwinter the darkness of the polar night poses its own challenges in the development work. Then, spring brings changes in the conditions caused by cold nights and sunny days – in one day, the change in the temperature at the test tracks may be up to 40 degrees Celsius. The sunshine in early spring is another challenge. At its worst, it raises the daytime temperature so much that tests cannot be performed due to the temperature variation. Then we just wait until sunset and conduct the tests at night. In addition to the carefully maintained test tracks, the centre includes a 700-metre long ice hall that enables consistent and accurate testing under any conditions. 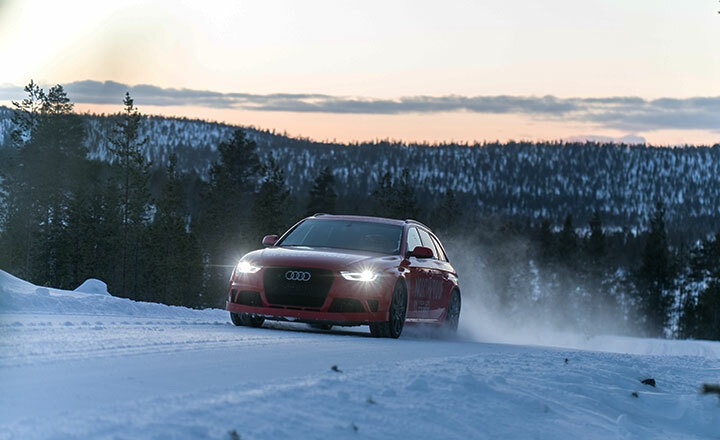 In varied testing, it is essential to simulate the winter driving extremes. White Hell currently covers more than 20 different test tracks. They test the performance of tires during acceleration and braking or driving in turns and on hills and the grip on different surfaces on ice, snow and slush. We utilise state-of-the-art technology in testing. – In order to ensure the best possible test equipment, we are constantly developing it further. For example, real-time tracking of temperature and relative humidity makes our work easier and faster, says Petri Peltoniemi, Test Manager at Nokian Tyres. Nokian Tyres is considered the world’s leading expert in the extreme conditions because of the company’s extensive product testing in Lapland. Experienced drivers are key, but we also utilise technology for some test drives. Robotic cars, for example, are very useful when you need lots of precise repetitions. Compared to our test drivers, however, they have a supporting role. – No machine or piece of equipment can replace real people and human experience. It takes years to become a good test driver, and they are able to provide us with the most valuable information. We go through all the results with our own test drivers, Peltoniemi adds. Nokian Tyres’ White Hell is the largest winter tire testing centre in the world. The area could accommodate 1,129 football pitches or 700 baseball fields. 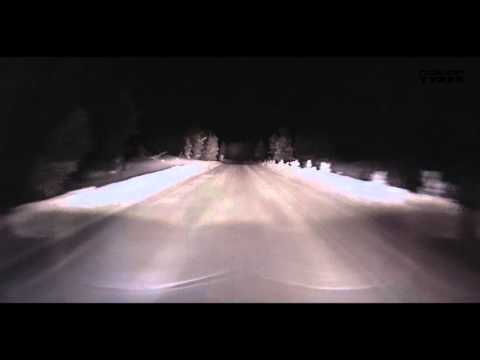 We test our tires around the clock in the unique conditions of Finnish Lapland on more than 30 test tracks. The more than 200 days with freezing temperatures in Ivalo each year make for rough conditions for the tested tires. 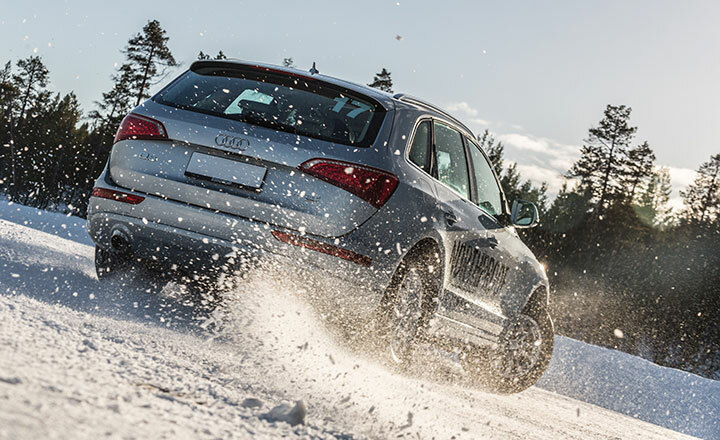 During the season, more than 20,000 winter tires are tested at our testing centre. We drive more than 40,000 km on the tested tires. Our drivers test tires in Ivalo under all weather conditions for more than 180 days each year. The nearly 700-metre long ice hall enables consistent testing under any conditions.